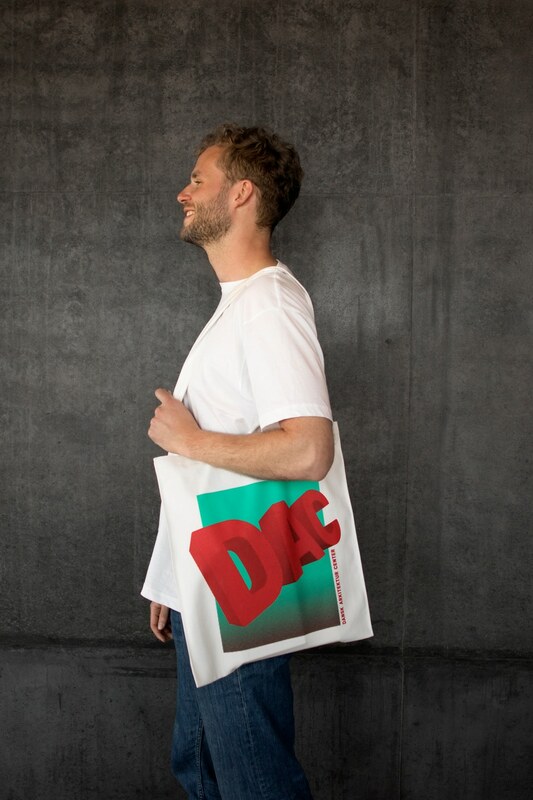 We’ve designed a new brand for DAC in BLOX. And now it’s ready to take flight. It is flamboyant, fanciful and fantastic – just like the architecture around us. This is the story of how it came to be and why is it so far removed from classic Danish design. For us, architecture is about so much more than buildings. It is also about the lives lived between the buildings. It is about you and me as we meet in the plaza, pass each other on the bike path and take a swim in the harbor. We can find architecture in everything, from the well-designed bench to the glass skyscraper. On both a small and a grand scale. We live in it, and we can’t live without it. That’s why it is so vital. And obviously, at DAC we love it. We would even go so far as to say that we believe architecture can change the world – creating cities and improving our quality of life. Sustainable, inspiring and delightful places for the masses. Creating a visual identity that embodies something this close to our hearts is no easy feat. How do we manifest this passion and communicate it to the world? 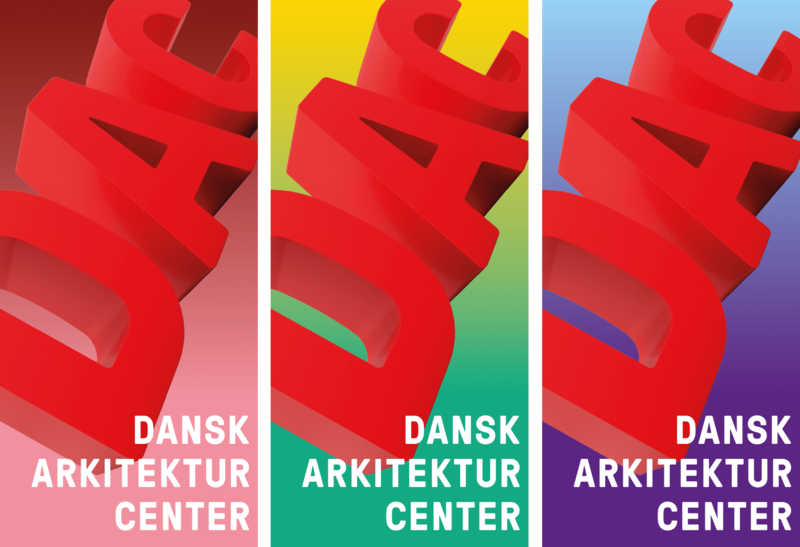 How do we free ourselves from the image of Danish Architecture Center as a center only for architects? And how do we create a new image of DAC as a modern and cultural meeting place for the culturally interested and inquisitive, both in Denmark and abroad? Once upon a time there was a Danish Architecture Center. It was situated in a charming old warehouse in Copenhagen’s historic Christianshavn district – utilized and visited by an exclusive community of local architects and cultural enthusiasts. Approximately 50,000 people visited the center each year. Now cut to today: A new, ultra-modern structure in concrete and glass through which 25,000 cars drive every day. Right in the middle of a high-traffic area. A building that houses co-working spaces, residences, a gym, cafés – and DAC’s new home, with more and larger exhibition spaces. Approximately 200,000 people are now expected to visit DAC every year – many of them tourists. Modernization, internationalization, commercialization. DAC faced a significant transformation. To brand the new, complex and contemporary DAC in BLOX, we needed to start with a single concept. We started with the tourists and with Copenhagen itself. Our premise was that if Copenhagen could be recognized as one of the best architectural cities in the world, tourists would be more likely to find their way to DAC. It would become an “Architecture City” that you visit to experience architecture on a large scale – like when we travel to culinary cities and fashion cities elsewhere in Europe. And the natural place to begin your visit to the Architecture City is DAC. Here, you will experience BLOX, with its multifunctional design as a microcosm of the Architecture City – a city within a city. 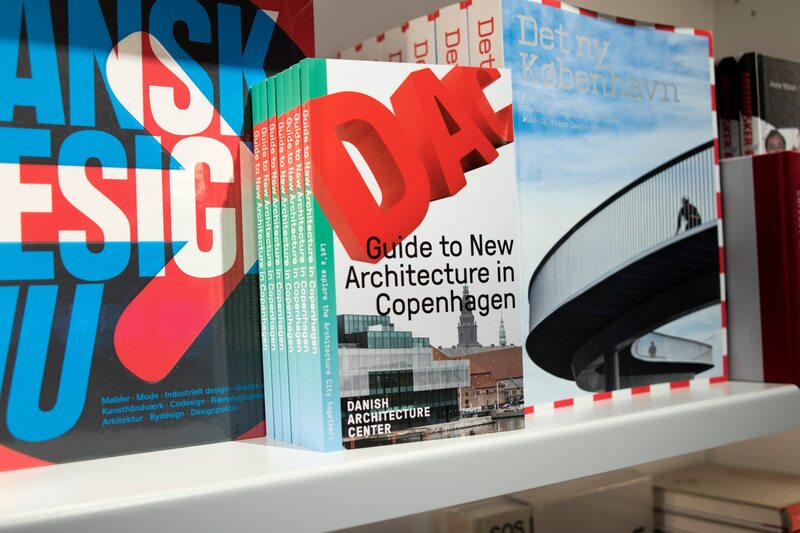 You can also take an architectural tour of Copenhagen in the company of DAC’s guides and learn more about the Danish capital and other architecture cities through talks, workshops, events and more. And so the Architecture City was born. A simple concept, yet befitting the multifaceted DAC, and a reminder that we must always be visible in the city to spread our important and impassioned message. We wanted to make some noise. This called for a visual identity that departs significantly from the beautiful idioms of the classic cultural institutions. Something more along the lines of the edgy communication used in the worlds of activism and marketing. 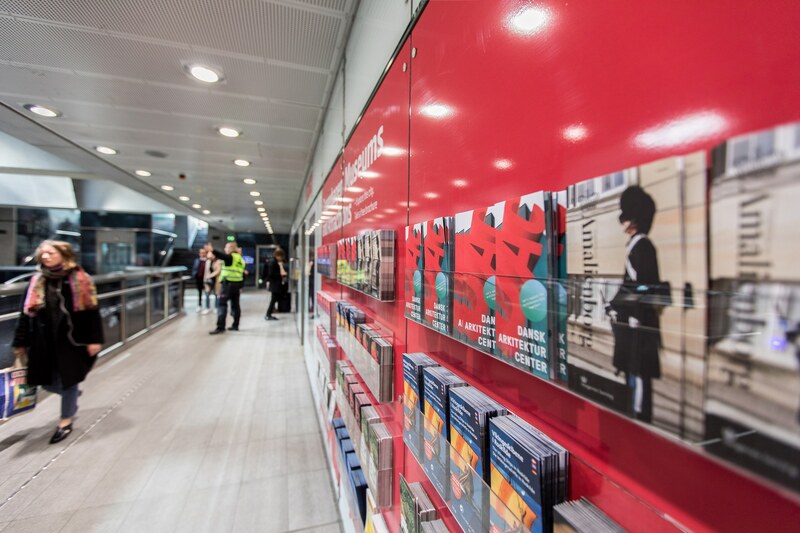 Like an ad campaign that paints the town red and puts “architecture” top of mind, inspiring debate, recognition and exploration. This was the goal. We joined forces with the award-winning conceptual philosopher Bruce Mau and his American consultancy, Massive Change Network (MCN). Mau was involved in the visionary project Too Perfect: Seven New Denmarks (2004), which was the brainchild of DAC and exhibited at the 9th Venice Architecture Biennale and elsewhere. Mau has also worked closely with OMA (the architectural firm behind BLOX), in particular with renowned architect Rem Koolhaas on the architecture bible, S, M, L, XL, making him very well versed in the branding of OMA’s creations. MCN, with Mau at the helm, was a fitting choice for creating a visual identity that could achieve the goal of a fresh and noisy DAC brand possessing international stature and centering on the concept of the Architecture City. DAC’s design team developed the visual concept in close collaboration with MCN and Mau. For us, it was crucial that we create an identity that was not only an image in the city, but also behaved like a city – accommodating, adaptable, unpredictable. Not necessarily with a “nice” look, but again like the city: complex and diverse. The result is a bright red DAC logo that flies like a superhero through the city, seeking to open everyone’s eyes to architecture. The letters are oversized, the color universe is flamboyant and all-embracing, and the design implementation in print and web defies the conventions of the design police. 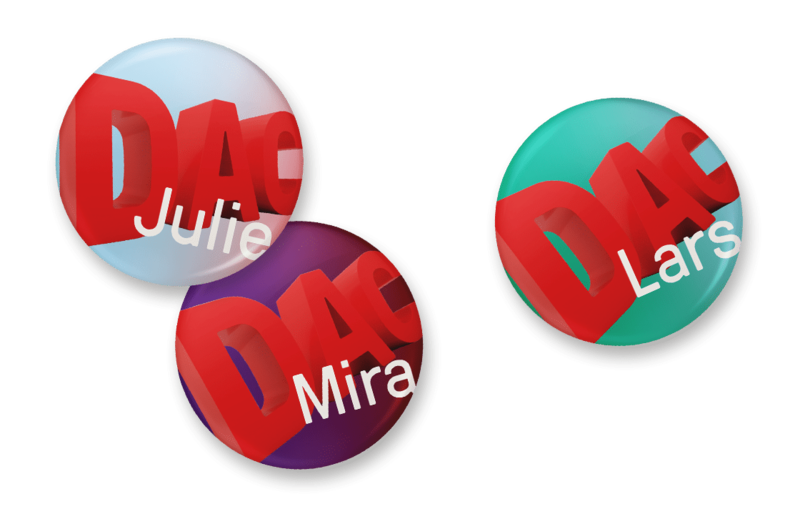 And when DAC sits still, it’s not just a flat logo, but a 3D object that calls for interaction with the world. We are delighted and proud of our flying identity. Now it is time to release it into the world. And like the city itself, it is never complete, ever evolving and constantly moving. We hope that you will follow it and join us in exploring the Architecture City. Welcome to the new DAC!